It’s time to let go of neutral accessories and embrace color! Sure it would have been easy to pair this navy watercolor print dress from H&M with some black, gray or cream shoes, but the red shoes give the outfit extra vibrancy. I love interesting color combinations that look dynamic, but sometimes it can be hard to come up with new ideas. 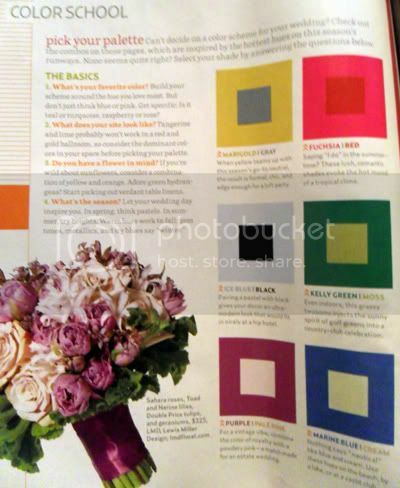 Luckily for you, I have found the perfect source of inspiration: wedding articles! 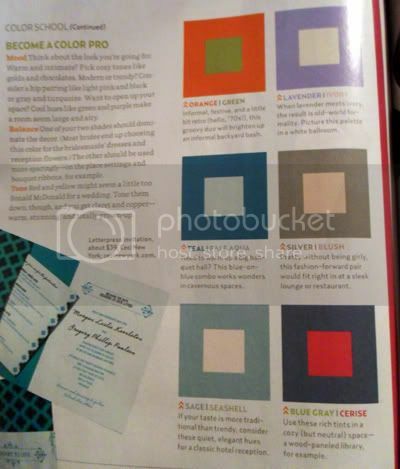 Wedding magazines and sites are constantly providing great tips on color palettes, something easily translates to your wardrobe! It’s fun to see all the different options you never thought of and sometimes what looks good together can be tres surprising! 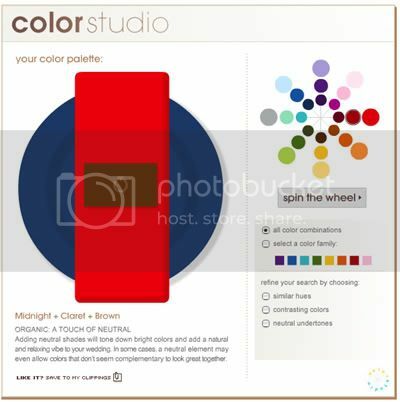 Brides.com has a color wheel you can spin to randomly generate combinations. If you’re feeling adventurous take a spin tomorrow morning and wear whatever combo you get! It’s a great way to really invigorate your look. love this idea, I am totally gonna take a spin and wear whatever it tells me tomorrow! This is one of the most informative sites that I've visited. Thanks for sharing such valuable information here.